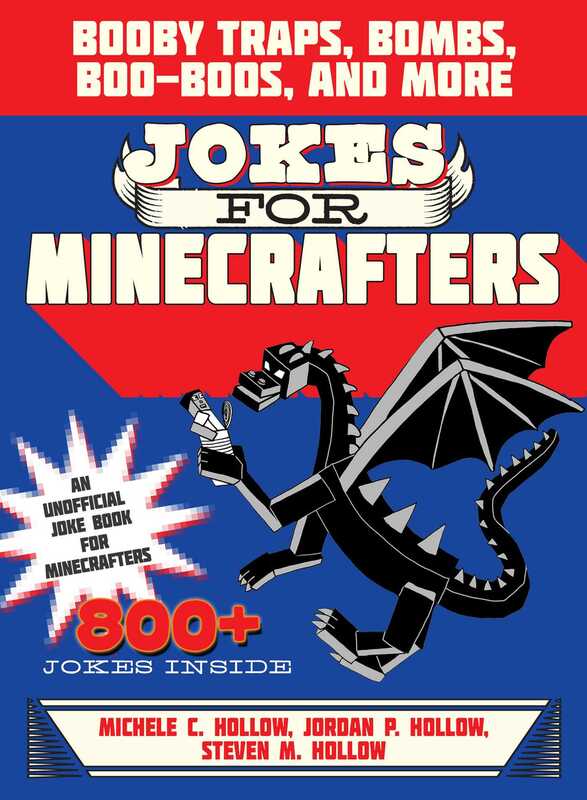 Jokes for Minecrafters is the first book in the new Jokes for Minecrafters series, which celebrates the humor in Minecraft from skeleton mobs to zombie pigmen. Be prepared to laugh! No ghast or blaze is safe from being the punch line of these jokes! Why did the slime stay home? He had no place to goo! How did Steve know that the skeleton was lying to him? He could see right through him. For kids ages five and up, this is the perfect book for at home, at school, or really anywhere! You’ll love telling these silly jokes to your friends and family. As a bonus, you’ll find illustrations throughout for even more laughs! Sky Pony Press, with our Good Books, Racehorse and Arcade imprints, is proud to publish a broad range of books for young readerspicture books for small children, chapter books, books for middle grade readers, and novels for young adults. Our list includes bestsellers for children who love stories told with LEGO bricks, books that teach lessons about tolerance, patience, and the environment, and much more. We also publish books for fans of Minecraft and Pokemon GO, including books full of useful hacks, tips, and tricks, as well as Minecraft adventure stories for readers who love the fight of good vs. evil, featuring a magical academy similar to Hogwarts in the Harry Potter saga. While not every title we publish becomes a New York Times bestseller or a national bestseller, we are committed to books on subjects that are sometimes overlooked and to authors whose work might not otherwise find a home.